Join us for a little HOLIDAY CHEER! Stop by ALL DAY wearing your ugly sweater & get half off your 1st drink, or a free soft beverage! Prizes for the Ugly Sweaters will be handed out at Happy Hour between 5pm-7pm & will include Gift Certificates, T-Shirts & other fun Christmas swag! Drink & Food Specials including our $7 Lunch Specials, $5 Titos Cocktails, $12 Tacos & Fajitas & holiday themed specialty drinks! 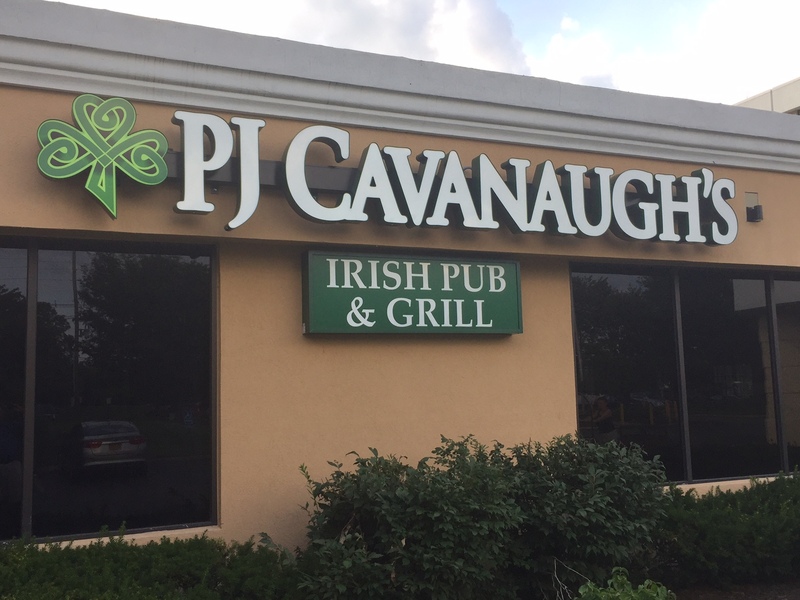 Book your holiday parties with us at PJ Cavs! We offer great packages to make your party planning a breeze…. We can also customize the event to fit your needs & can accommodate parties of all sizes, large or small! Email Michelle@pjcavs.com for menu, pricing & book today! 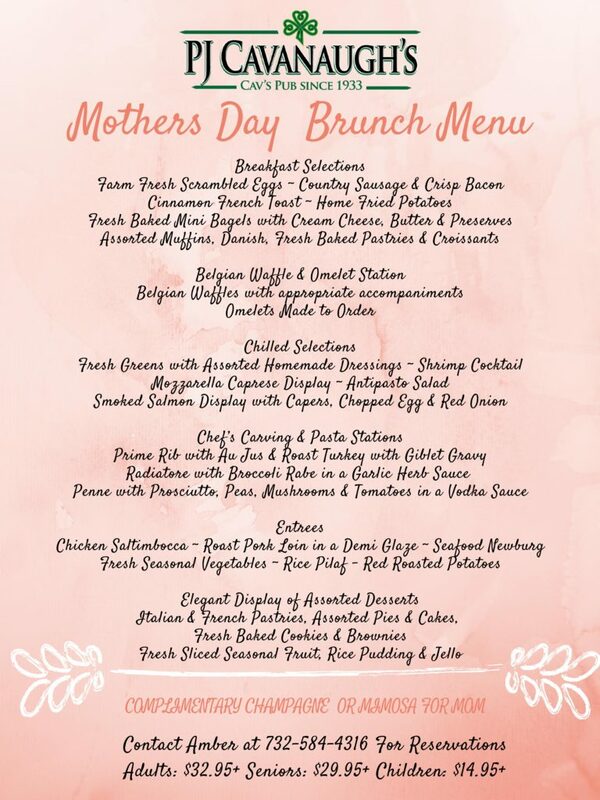 Treat Mom to a special day at PJ Cavanaugh’s! COMPLIMENTARY CHAMPAGNE COCKTAIL for ALL THE MOMS! Contact Amber at 732-584-4613 to reserve your space today!